You may ask, then why are you doing it? Well, a colleague is struggling with sticking to a “healthy eating plan” (staying away from the taboo word “diet”), which many females can relate. I will give weekly updates; unless, I really fall off the wagon. NO NEGATIVE THINKING! Again, we all heard this before and still I agreed to do this “change in eating” plan. Even though it’s the middle of summer and there are so many vineyards I haven’t visited. Me: I can’t have wine. I’m doing a 17 Days Diet Challenge (I explained the Challenge). Him: Holy, Moly! I need to find someone to drink with. Him: Since, you can have fruit, grapes make juice; therefore, you can have wine. Me: No, I can’t have grape juice; there’s too much sugar. 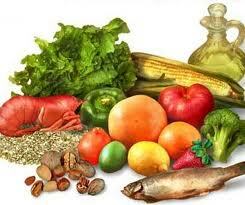 Go to: http://www.webmd.com/diet/features/17-day-diet-review for a review on the 17 Days Diet Challenge. Here we go… Stay tune!